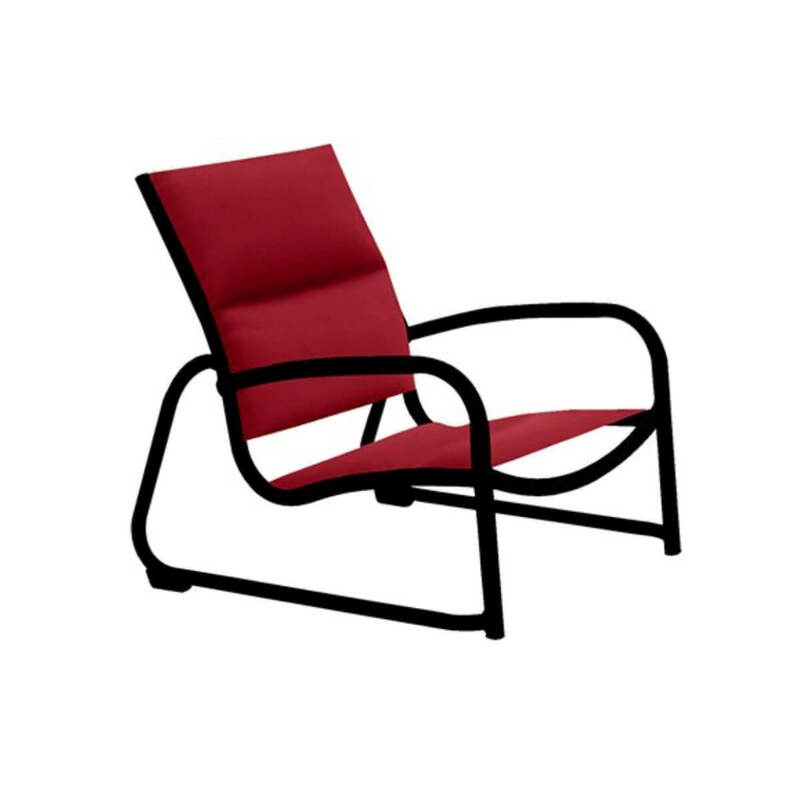 This Tropitone Millennia padded sling sand chair is a perfect addition to beachside hotels, resorts, and cruise ships. The sleek, stackable aluminum frame is designed with a sled base to prevent sinking in the soft sand. Protected with a strong powder coating that helps guard the metal frame against corrosion from saltwater and sand while giving an attractive appearance.The padded sling has a double layer of commercial grade fabric with fiberfill sewn in the middle, for a durable, slightly plush seating that is perfect for outdoor use. 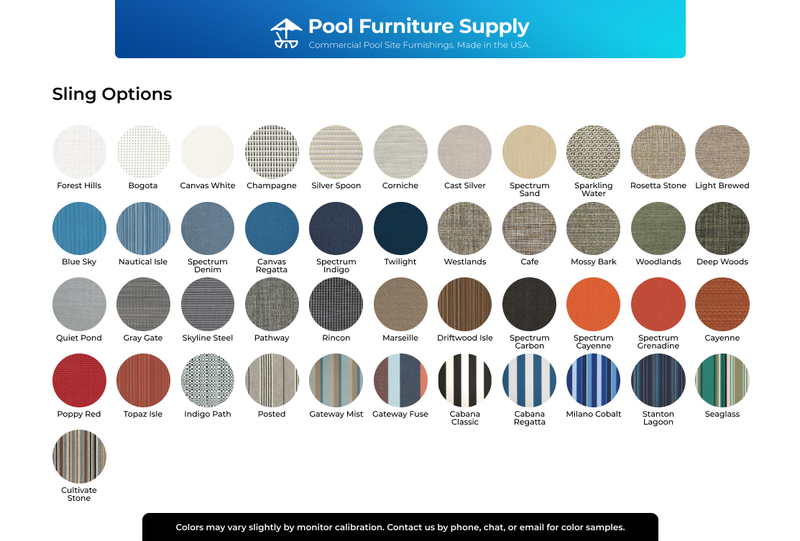 Mix and match the color for both the front cushion material and back sling fabric to compliment your patio's theme. Coupled with the low 10" seat height, this sand chair is the best for sunbathers who want to dig their feet into the sand. The Tropitone Millennia collection provides functionality without sacrificing elegance. Get a quantity discount on this chair and other components to furnish your entire property. Tropitone Millennia Padded Sling Bar Stool with Aluminum Frame, 18 lbs.